There are many situations where you can benefit from a power of attorney, but this document can be used to afford some very significant powers, so it’s essential that you work with an experienced attorney to ensure that your affairs are managed in an appropriate manner. The authority of lawyer gives you the ability to grant someone the authority to make important decisions on your behalf. These powers can range from handling finances and business affairs, to making important health care decisions on your behalf. There are several types of authority of lawyer, and each one grants specific control and abilities to the designated person (or organization). The West Palm Beach attorneys at The Law Offices of Thomas J. Lavin are available to help you appoint a power of attorney, in addition to assisting with other related matters, such as writing a last will and testament, establishing a trust or completing health care proxy forms. We can also help you to revoke the power of attorney. At The Law Offices of Thomas J. Lavin, our West Palm Beach estate planning lawyers strive to help clients to prepare for any eventuality, while also ensuring that your interests are protected both now and in the future. 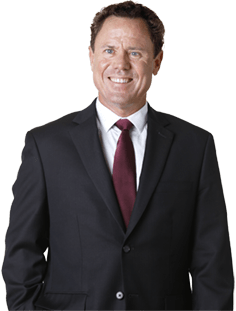 Turn to our trusted team of power of attorney lawyers to arrange a free and confidential consultation session. Call 561-557-4546. Working with clients in the region of West Palm Beach, lawyers with The Law Offices of Thomas J. Lavin routinely field questions about the process for appointing a authority of lawyer and the abilities afforded by the different power of attorney forms. So to help you get started, our legal team has compiled some information to answer some of the most common questions about the authority of lawyer definition, how to get a power of attorney and what powers you can assign. By definition, power of attorney refers to specific powers that are granted to another person or organization, known as the agent or attorney-in-fact. These powers include the ability to make financial decisions, business decisions or medical decisions on your behalf. What is a General Power of Attorney Form? A general authority of lawyer form enables the agent to make any and all legal decisions on your behalf. This may include handling finances, tending to business matters, selling assets and making medical decisions. You may also grant the agent power to remove life support, although this particular power must be explicitly specified in the documents. What is the Limited Power of Attorney Definition? As the name implies, a limited power of attorney form grants permission for an agent to act on your behalf in very specific matters. For example, if you are in the military and are being deployed while you’re in the midst of selling your home, you may complete a limited authority of lawyer form to give a family member the ability to complete the home sale on your behalf. What is the Durable Power of Attorney Definition? A durable power of attorney form grants another person or organization with the ability to remain as your authority of lawyer in the event you are incapacitated. In the case of forms that lack durability, the form will become invalid if you — the principal — are incapacitated in any way. What is the Medical Power of Attorney Definition? A medical authority of lawyer form is used to grant powers to a person who can make medical decisions on your behalf if you are incapacitated or otherwise unable to speak and decide for yourself. This may occur in the event of an injury, illness or disease. This is party may also be known as a health care proxy. Note that medical power attorney is different from a living will. Is Springing Power of Attorney Recognized in Florida? A springing authority of lawyer, which involves a transfer of power at a future date, is not valid in Florida if signed after September 30, 2011. How Do You Get Power of Attorney in Florida? In Florida, the authority of lawyer may be granted in several different forms. Your lawyer can help you determine which types of power of attorney are most suitable for your needs. You must complete the appropriate documentation for the type of authority of lawyer you wish to appoint. Your solicitor can help draft and review the document to ensure it accurately reflects your wishes and protects your interests. It’s vital that your power of attorney form is clear and free of ambiguity. Once the document is reviewed by your lawyer, you must sign the form, along with two trusted witnesses, in the presence of a notary. 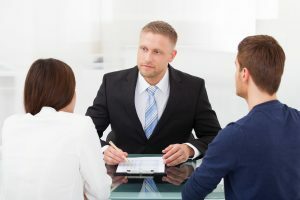 It’s important to choose your witnesses carefully because they could be summoned to court to testify if the authority of lawyer form is legally challenged in the future. In Florida, the power of attorney privileges are transferred at the moment the document is signed and executed. Otherwise, the document may be considered invalid. Once the authority of lawyer forms are completed, you must share these forms with the appropriate parties, such as financial institutions. How Do You Pick a Power of Attorney Agent? Choosing a person to serve as authority of lawyer is a very important decision; one that should not be taken lightly due to the potential for abuse of power. It’s wise to discuss this matter with your attorney, who can provide objective counsel with your best interests in mind. In Florida, limited authority of lawyer forms can be used to grant specific powers to different individuals. For instance, if you trust one person to handle your medical decisions, but feel they lack the ability to handle your finances, then you may opt to grant medical authority of lawyer to one person and financial power of attorney another individual. Can You Revoke Power of Attorney? It is possible to revoke the authority of lawyer. Florida authority of lawyer revocation forms – formally called Notice of Revocation of Power of Attorney – are designed to formally revoke power of attorney privileges. The process used to complete a revocation form is similar to the process used to grant authority of lawyer. You should always work with an attorney to ensure the documents are completed in a proper, legal manner. It’s also possible to contest the authority of lawyer if you feel that a person is abusing their power. This is a matter that is typically brought before the court with the assistance of an attorney. In Florida, power of attorney is available in several different forms. When selected carefully, a authority of lawyer agent can be a valuable asset, but there is also potential for great harm if an individual abuses those powers. For this reason, it’s vital that you work with a qualified estate planning lawyer to help with your power of attorney form. Attorneys with The Law Offices of Thomas J. Lavin can assist with a range of different legal matters, including authority of lawyer forms, Florida health care proxy forms, living wills, trusts and more. We strive to guard your interests, while ensuring that your wishes are fulfilled now and in the future. If you need assistance appointing a power of attorney, Florida residents are encouraged to contact The Law Offices of Thomas J. Lavin. We look forward to discussing your needs in a free, confidential consultation. Call 561-557-4546.